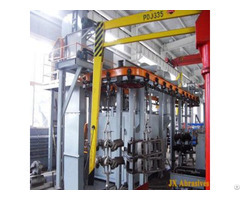 Concrete block blast shot machine is mainly used for surface roughening treatment of marbles, granites, concrete blocks, whose blast process creates a unique character of blocks. 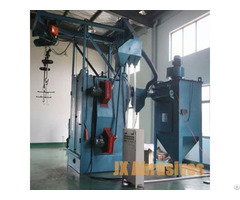 JX concrete block shot blast machines perform efficiently and offers high quality blasting with low cost. Shot blasting is a mechanical surface preparation process or technique to improve the bonding strength of concrete interlocking: blocks by blasting with abrasives. The concrete blocks/marbles, granites are kept on the belt conveyor for automatic blasting. The concrete blocks pass through conveyor and enter into the blasting chamber for surface preparation. The blast wheels are stationed strategically around the cabinet and fire shots on the cement blocks. Concrete Blocks move forward and exit into outlet conveyor after duly blasted and air washed with air blower. 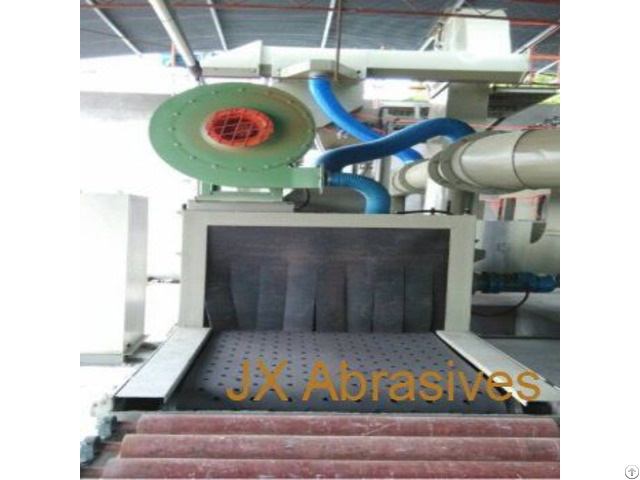 JX Shot Blasting Machine offers upgraded transport technology, high-efficient blast wheels and multiple machine sizes and types adhere to the customer's shot-blasting needs. If you have special requirements, please download Blasting Equipments Questionnaire for your reference. 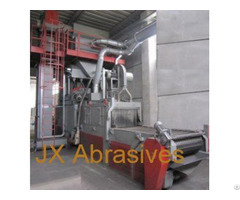 Posted By: JX Steel Grit Shot Blasting Machine Co., Ltd.